I am always looking to add protein (at least some nutrition, right?) when I am craving some greasy quesadillas or tacos. 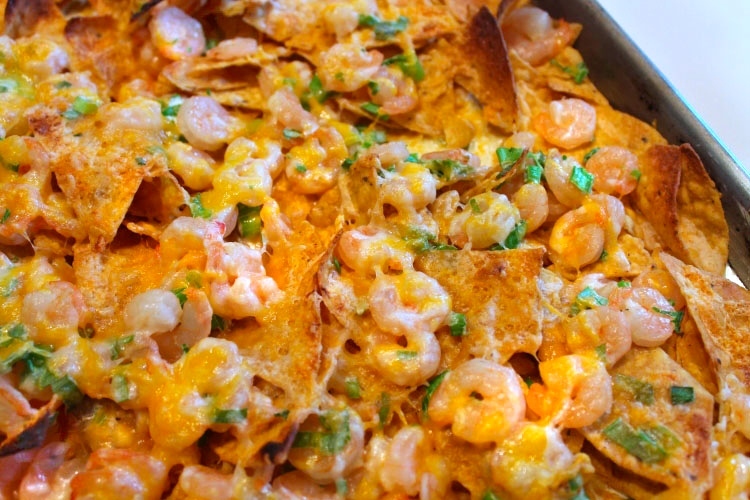 When a family friend shared this nacho recipe, smothered with fresh shrimp and a sour cream topping, I knew I had discovered a match made in seafood and snack-food heaven. I liked how shrimp deviated from the typical beef or chicken topping on nachos, while adding a summery flair. These upgraded nachos will be an unexpected, but welcomed, pairing for any BBQ or summer gathering in store for July. 1. Heat oil in a nonstick skillet over medium heat. 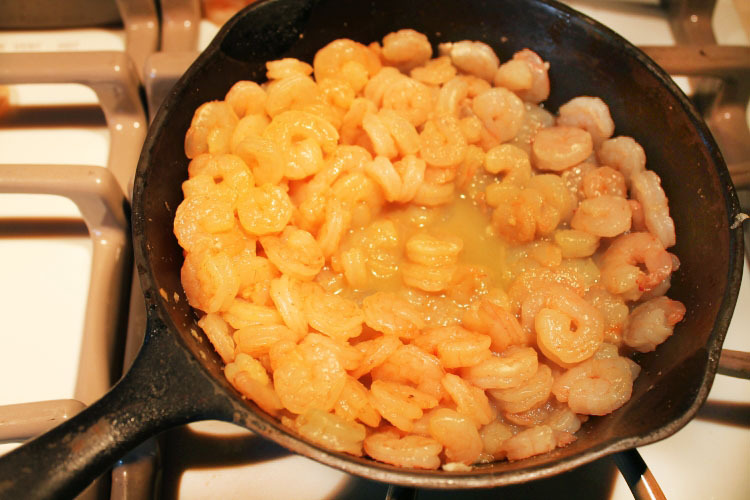 Add shrimp, cumin and garlic; sauté 3 minutes or until shrimp are pink. 2. 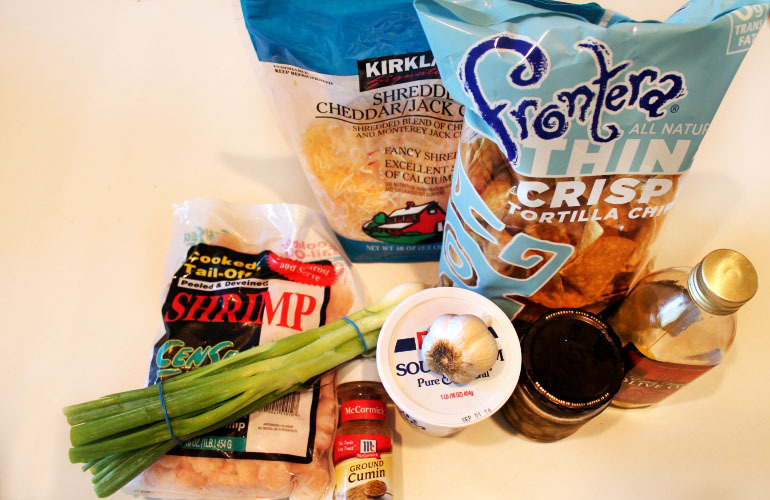 Combine cooked shrimp, sour cream and green onions in a large bowl. 3. 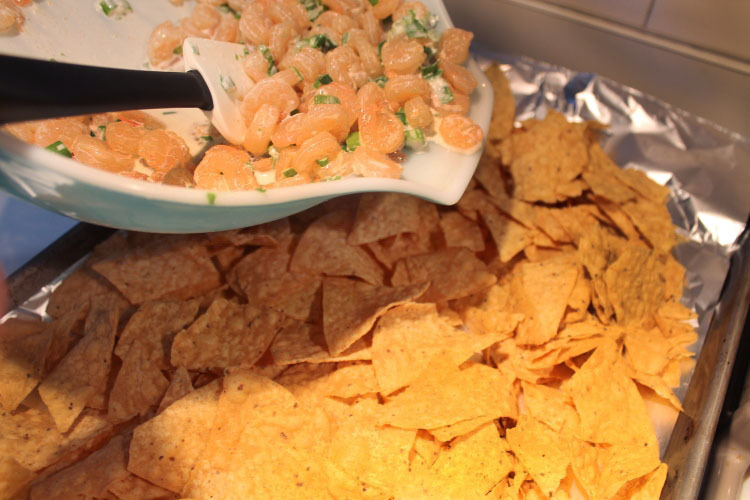 Spread tortilla chips on an aluminum foil-lined baking sheet. 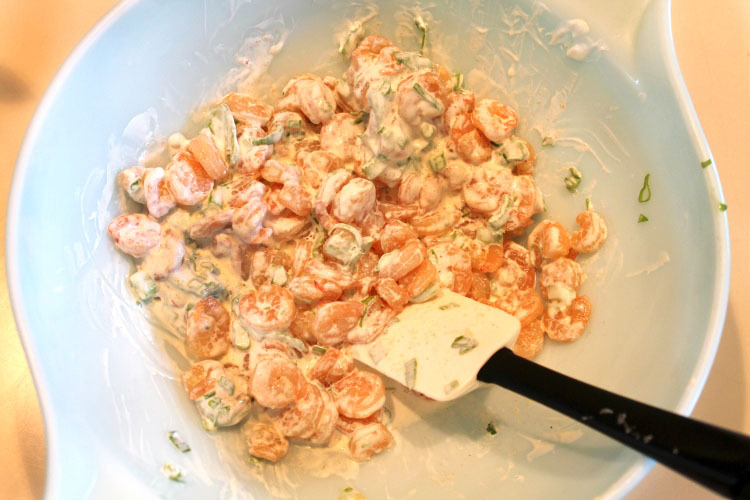 Top with shrimp mixture and sprinkle with cheese. 4. Broil 5 to 6 minutes from heat 2 minutes or until cheese melts. Serve immediately.